Contemporary with a mod touch! This drum-style light pendant features seeded glass wafer that make the light dazzle with a unique style. The glass combined with the cool silver frame, make this fixture a standout in your home dicor. Modern double glassed candles evenly balanced atop an impeccably rich metal framework. Glowing lights come from up and down LED lighting. This sleek decorative piece is a perfect way to add charm to any room! 4 Light Pendant Contemporary with a mod touch! 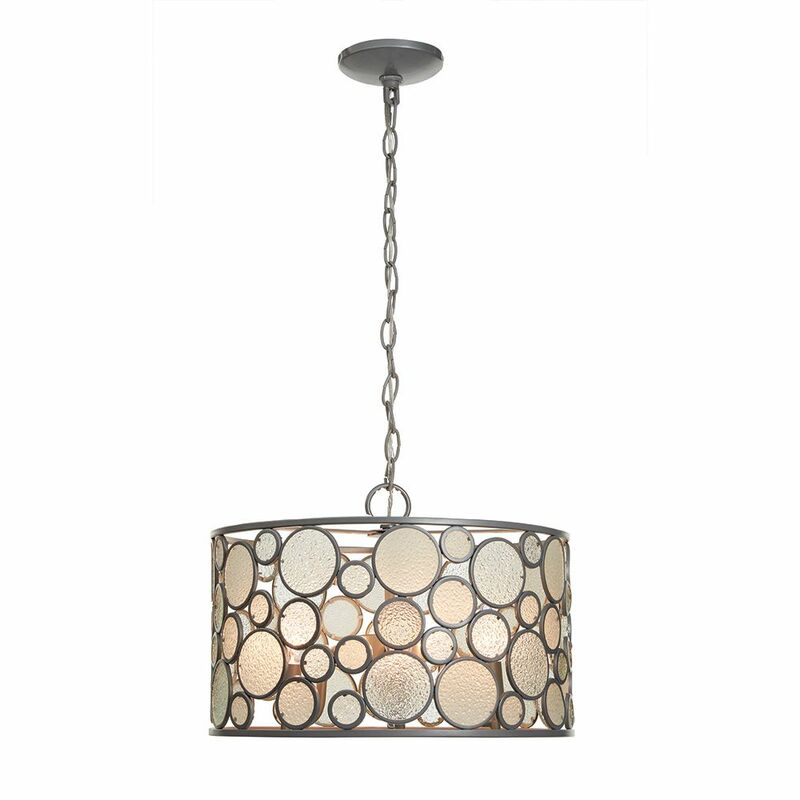 This drum-style light pendant features seeded glass wafer that make the light dazzle with a unique style. The glass combined with the cool silver frame, make this fixture a standout in your home dicor.